The whole security set is specially designed to use the 12V battery for the power and a 4G sim card to access the mobile network . 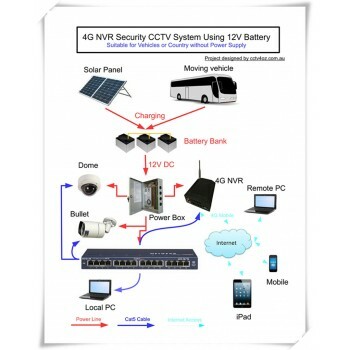 It is the prefect choice for those particular surveillance demands such as moving vehicles, or the countryside areas where the normal power supply is unavailable or limited. The price displayed above is only for your reference. If you're interested in this 4G NVR Security CCTV System, please contact us for the quote with your demand details.